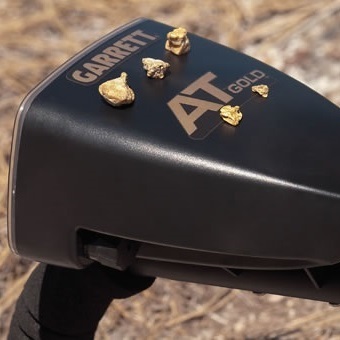 Garrett is one of the first companies to start making metal detectors for use by treasure hunters and gold prospectors. 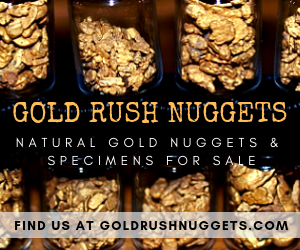 They have several good gold detectors on the market that will find gold nuggets. A fairly new addition to their lineup is the Garrett AT Gold . This detector has quite a few different features that make it stand out from some of the competition in a similar price range. Depending on the area you are prospecting it may be a good choice for you needs. The AT Gold is waterproof up to 10 feet deep, making it a perfect choice for hunting bedrock along creeks and rivers and in shallow water. You could even add a wetsuit to your arsenal and actually detect completely underwater if you want, reaching areas that no other metal detector has been before. This is a very low frequency (VLF) type metal detector, which is a tried-and-true technology that is still used by most detector manufacturers today. It operates at 18 kHz, which means that it is very sensitive to small targets like gold nuggets, while still being very stable in mineralized soils. This makes it similar in sensitivity to other popular gold detectors like the Fisher Gold Bug Pro and the Nokta Fors Gold+. You can buy the Garrett AT Gold at a price around $700 for the basic detector, or kits for around $800 that include some nice extras like headphones, digging tools, handheld pinpointers, and other handy tools that are pretty handy. You may think $700 is expensive, but that’s actually a very good price for a dedicated gold detector. 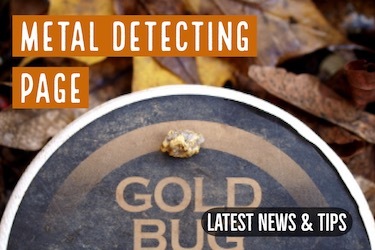 Most new gold detectors start at this price point and go up from there. In fact, compared to many other detectors (like those made by Minelab) this is quite inexpensive. It’s nice to have options for different coils when you are metal detecting, and the AT Gold has several different coil choices. It comes with the stock 5” x 8” DD submersible coil, but you can also purchase additional coils that are larger and smaller depending on your needs. Two of the most popular aftermarket coils are the 9” x 12” concentric coil or the 4.5” Super Sniper coil. 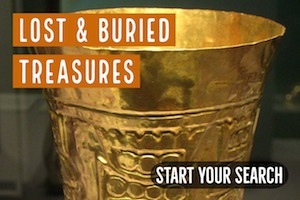 With any metal detector, learning how to use all of the features is the most important thing you can do to improve your skills. 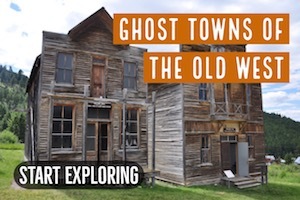 The Garrett website has an excellent 4-part instructional video that you should definitely check out if you decide to buy the Garrett AT Gold. 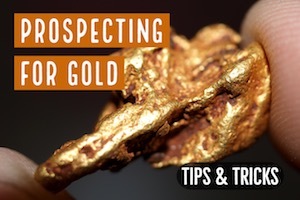 And of course, always read the manual and spend time experimenting with different setting on the detector the learn how to best use it to find gold in the field. The Garrett AT Gold can be purchased by itself or in some nice bundle packages too. If you are just getting started, it might be worth taking a look at these bundles since many of the accessories that come along with the detector are pretty nice to have, and getting them is part of a bundle gets you a lot better deal than if you were to get them all individual. Check out the links below to see different bundle options for the AT Gold, or if you already have the accessories then you can get the detector by itself. 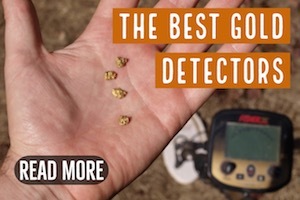 If you want a good quality detector to hunt for gold nuggets, this detector is a great choice.